Those who enjoy gambling and holidays should check out Casino.com’s Bon Voyage promotion. 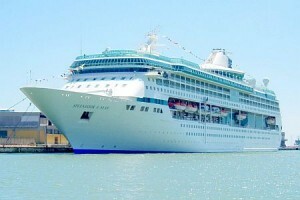 Casino.com is running a special prize draw which will see one lucky player win a 7 day Mediterranean cruise for 2 people. Casino.com is giving its players the chance to win a week long cruise for two on the Mediterranean Sea. The winners of the cruise will sail to Venice, Lotor, Naples, Rome, Florence/Pisa, Provence and Barcelona. Included in the prize are flights, transportation to and from the airport, accommodation, non-alcoholic drinks and meals, so it really is an all-inclusive trip. The cruise will be taking place from 15 – 22 November on board the ship Splendour of the Seas. It’s easy to enter the prize draw, simply sign up to Casino.com and opt into the promotion. Members will then receive one prize draw ticket for every $50/£35/€40 deposited. This means that there is no limit on how many tickets you can receive. As well as entering this prize draw, you can also take advantage of all of Casino.com’s Welcome Bonuses such as a deposit bonus worth up to £3,200 and a $1,000 beginner’s booster cash prize. Be sure not to delay as the prize draw is taking place on Thursday, 4 September.